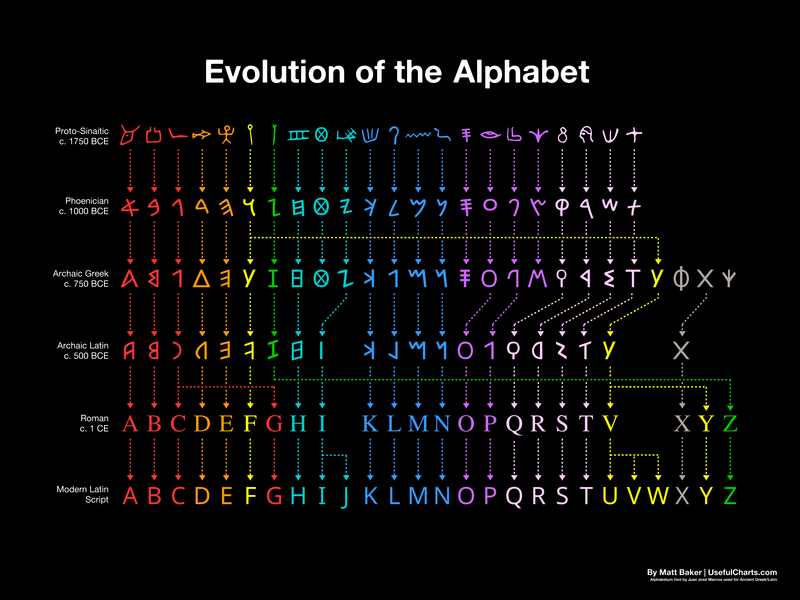 The evolution of the alphabet: from 1750 BC to today. The Alphabet of the English language and most of the European languages was not thought of at the spur of the moment. Like the case with most language aspects, it naturally evolved through centuries of accumulating changes that gave us the Alphabet as we know it today. 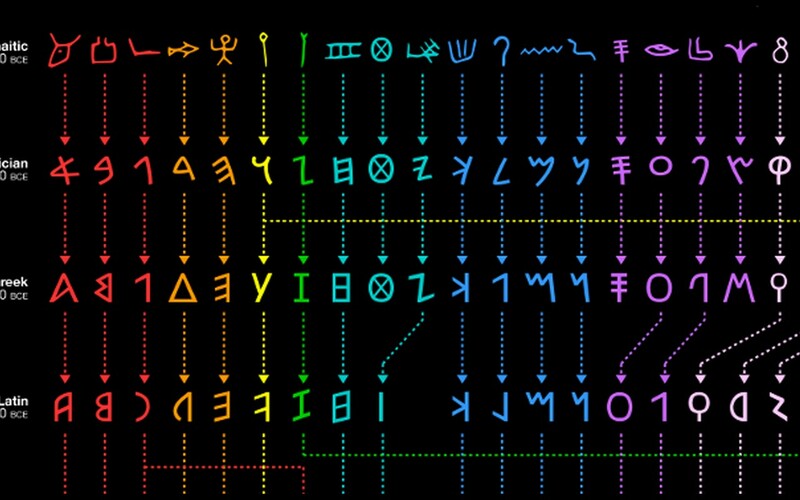 The Alphabet started to gain the shape it has today in Archaic Greek, circa 750 BCE. Then, by 1BCE, the Romans standardized the scrolls into uniform sheets which resulted in the creation of the Latin alphabet. This means that our alphabet was largely done 2000 ago. Writing was simple and too rudimentary back then, it would reach its true potential after two more whole millennia. This would give rise to pieces of writing that would forever change the course of humanity, such as Constitutions, The Origin of Species, A Brief History of Time, etc. We can only imagine what lies ahead. So, using a handful of symbols that we wittingly created we opened unlimited horizons in front of us.